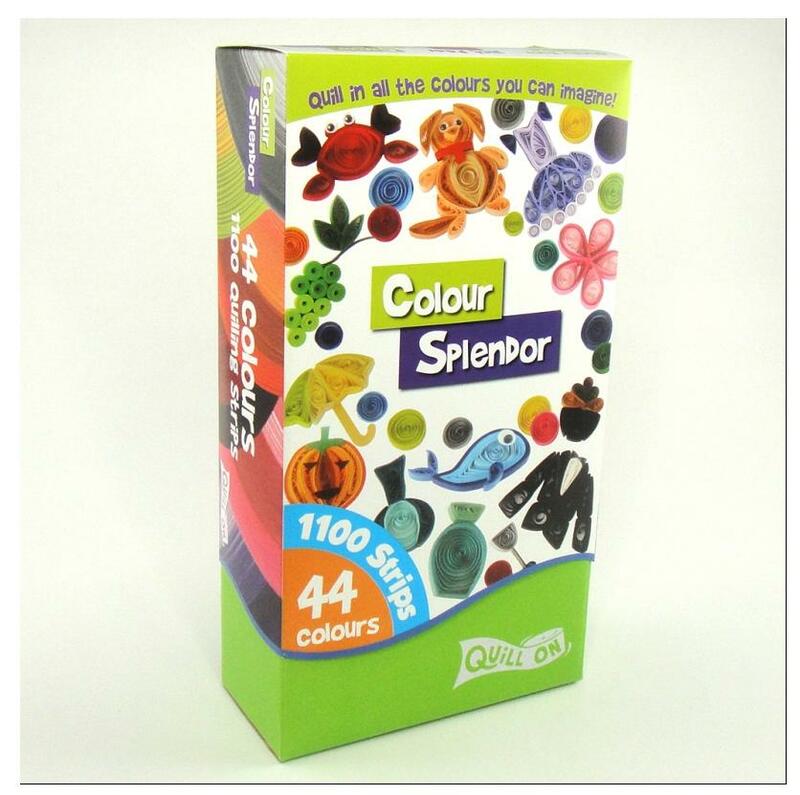 Quill On introduces for the 1st time - Sticky Back Quilling Strips. Just peel the sticker at the back and press to close the coil. The above collection has 1100 strips of 5 mm width in 40+ shades and colors (11 packets of 100 Strips each). The Strips are organized in different shade packs ,so you can easily select variations of a particular color. Works with Quill On Super Quiiller- an automated multipurpose quilling tool, that makes Quilling a lot more fun and easy. Quill On range of quilling products includes innovative range of quilling tools, a large variety of quilling strips for making any creation and craft supplies that goes with the strip.